William to buy Kate ruby birthstone ‘push present’? Britain's Prince William is being tipped to buy his wife, Catherine, a ruby birthstone as a “push present”. Britain's Prince William is expected to buy his wife, Catherine, a ruby birthstone after she gives birth. Marcia Moody, author of Kate: A Biography, believes William has already eyed up the perfect push present ? a gift given to a mother from her partner after she has a baby ? for the duchess, and thinks he will opt for a special gem. Speaking to women’s weekly magazine Bella, she said, "Like lots of new dads, I'm sure William will buy Kate a present once the baby is born, probably jewellery and something romantic. "Not many people have noticed, but one of the rings she's been wearing a lot recently has alternate garnets and pearls. They're his and her birthstones ? Kate's is garnet [for January] and William's is pearl [for June]. I feel there's only one person that would give someone that ? William. "I think it's likely he'll get her something with the baby's birthstone. [The birthstone for July is a ruby.]" 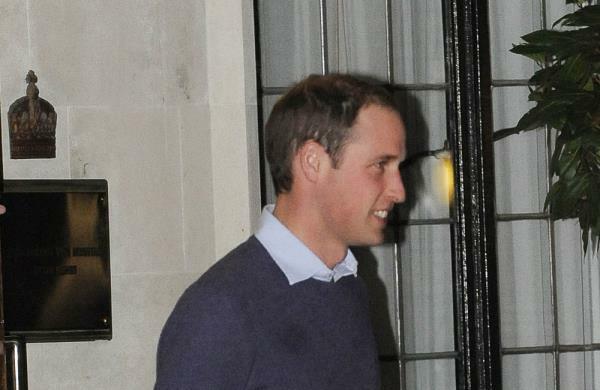 Should William purchase a posh push present for Catherine ? who’s due to give birth on 13 July ? it wouldn't be the first time he’s gone to such great romantic lengths. Marcia added, "William's very romantic. Romance is really just thoughtfulness and he includes Kate a lot. "On a tour of Canada, they rowed out to the little island near [capital of the Norwest Territories] Yellowknife for a picnic ? apparently that was his idea. It was just the two of them. "And the £1 900 (R28 500) green amethyst and diamond earrings he got her for Christmas in 2011, he probably would have chosen them himself."